Besides the speed, Train 18 has an advanced array of features including energy-efficient coaches, which leaves less carbon footprint. The Government on Thursday officially declared Train 18 as the country’s fastest, cruising at a sustained speed of 180 kilometres per hour during a trial run. “Need for Speed: Train 18 seen cruising at a sustained 180Km/h, officially becoming the fastest train in India,” Railways Minister Piyush Goyal tweeted along with a video of the trial run. 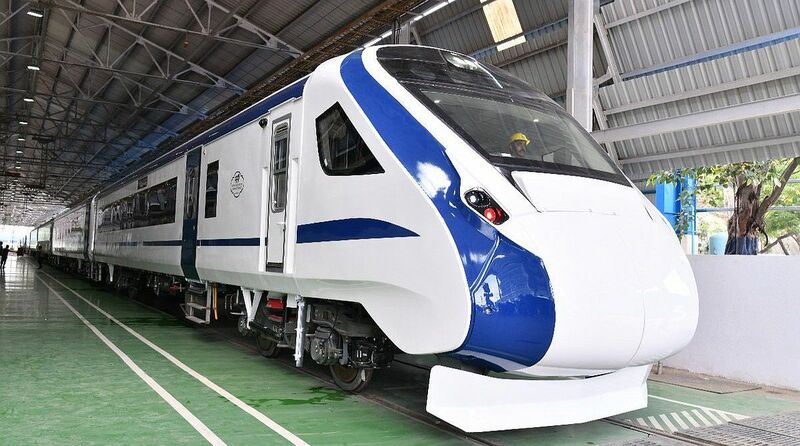 Designed and developed by Integral Coach Factory (ICF), Chennai, Train 18 – India’s first engine-less train – had earlier also breached the 180 kmph speed limit during a run in the Kota-Sawai Madhopur section without any technical problem. 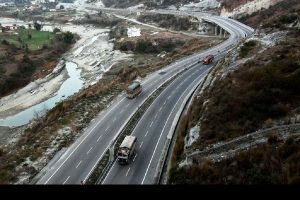 Goyal had shared a video on social media highlighting the level of engineering that went into this ‘Make in India’ project. The video showed two water bottles, partially full, placed side-by-side on the tray. Even though the train was moving at top speed, the bottles remained firm on the tray indicating the level of stability of the coaches, which is something the travellers experience only in the world’s best high-speed trains. “जोर स्पीड का झटका धीरे से लगा: Train 18 exceeds 180kmph during trial. The stability of water bottles at this speed is a testament to the quality of workmanship and design of our engineers,” wrote Goyal on Twitter while sharing the video. Though Train 18 can touch 200 kmph, it will operate at a maximum speed of 160 kmph. To run at 200 kmph, the train would require upgraded tracks and signals. Designed to replace the Shatabdi Express, Train 18 was flagged off by Railway Board Chairman Ashwani Lohani on 29 October. Besides the speed, Train 18 has an advanced array of features including energy-efficient coaches, which leaves less carbon footprint. Every alternate coach is motorised to ensure even distribution of power in the train. More rakes of Train 18 are expected to be manufactured in future. The train has driver coaches at both ends – like metro and local trains across the country. Passenger comfort has been given detailed attention. Features include CCTVs, onboard Wi-Fi and infotainment, rotational seats, modular and disabled-friendly toilets with bio-vacuum systems, automatic doors with retractable footsteps among other features. Train 18 will have 16 coaches and the same number of seats as in a Shatabdi Express.